Archaeologists have been back on the grounds of the Missouri National Guard’s training site at Jefferson City studying the site of a 1,200 year-old Native American village there. They were looking for signs that the site might not be a seasonal camp as been believed, but a more permanent site. 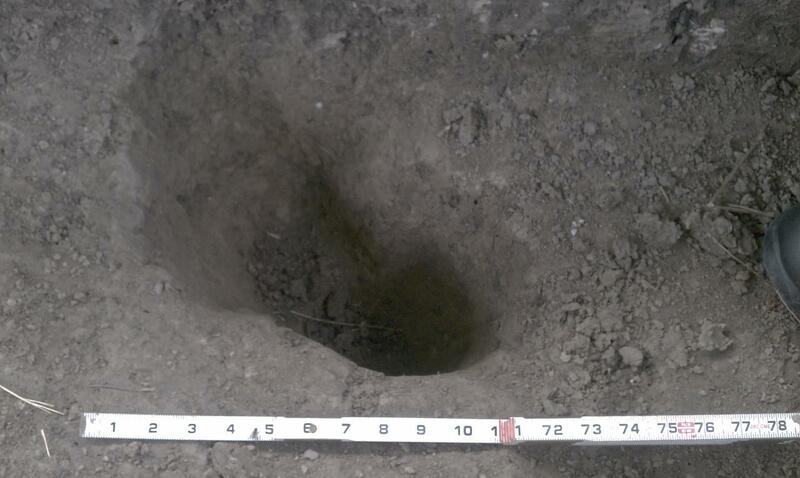 Archaeologists at the Ike Skelton Training Center at Jefferson City discovered three post holes, indicating a possible home or other permanent structure at a 1,200 year-old Native American village site. Two of them, which overlap, are pictured here. Archaeologist Joe Harl with the Archaeological Research Center says they found some in the form of pit structures. Harl explains how archaeologists find a post hole. Harl says other findings on the site would also indicate that this site was used more than just seasonally. Two post holes overlap in the upper-right of this plot. Archaeologists dug out a third post hole, at the left looking for evidence of earlier habitation. Harl says the site is well-preserved because it is under about two feet of sediment deposited by Missouri River flooding, and topsoil that was farmed for 150 years. The bones he refers to are animals bones, that combined with the plant material, show what the people there were eating and raising. What were the people at this site eating? 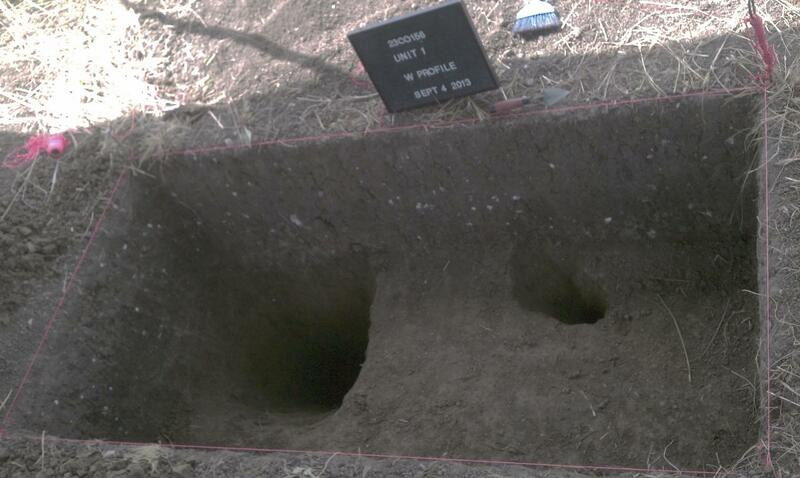 Harl says though none have been found, he believes there are “definitely” human burials at the site. Harl discusses the possibility that human remains exist at the site. The markings on these fragments of pottery are thought to have been left by cords use in their production. 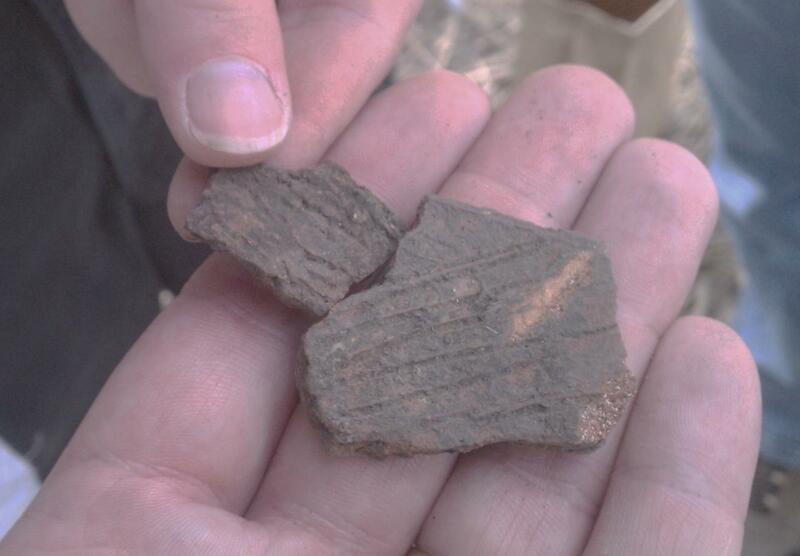 Numerous pottery fragments have been found at the National Guard training center site, and are among the evidence that it was more than a seasonal campsite. The team also found several artifacts including pottery shards and projectile points. No remains of ornately decorated pottery have been found, and that is also telling. “Those really fancy pots with animal head effigies on them or fancy incisions or lines drawn in them … those usually occur at the bigger sites, the market centers, where at the common, everyday farming sites, they tend to keep using that cord marked pottery. That’s because those vessels work better at cooking foods in better than the big, rounded, flat-bottomed fancy pots that were more popular at the big market centers.”While people often think of Native Americans as being associated with specific tribes, Harl says it is very difficult in Missouri to tie a site to any specific group. Harl on the prehistoric exodus from Missouri. Harl says some large projectile points found at the site might indicate that it was used as much as 4,000 years ago, but digging deeper into the soil for evidence of habitation that far back has so far yielded none. He says further investigation into that possibility is needed. He adds, large points can be deceiving. They are typically associated with spears and were phased out with the advent of the bow and arrow, but reemerged in later cultures for use as hafted knives.